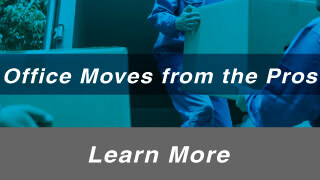 A-Plus Office Movers Inc are your stress-free office moving specialists. Since 2000, we have provided quality services across Southwestern Ontario and the entire province. Our friendly, professional, uniformed move teams are highly efficient and will make your move smooth. We take a 100% service-oriented attitude with each project. Our hours are flexible to work around your busy schedule and all moves are conducted with the utmost professionalism. We are available for office moves, internal moves, office furniture installation and reconfiguration and plastic moving bins rentals. There is no “magic wand” that will make your move easy — but, proper planning will. That is why our project planner will meet with you to coordinate your move prior to your moving date. This will not only save you from unnecessary headaches, but will also make the move happen that much faster. And, because we care about our clients no matter what time of day it is, we also offer after-hours service. Need short- or long-term storage solutions while you sort out your move? No problem. A-Plus Office Movers Inc has secure, climate-controlled facilities for all your storage needs. 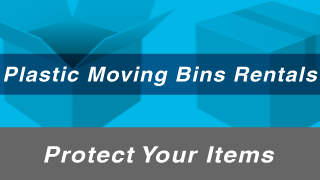 By offering reusable plastic moving bins, we are doing our green part to minimize unnecessary waste in Ontario. 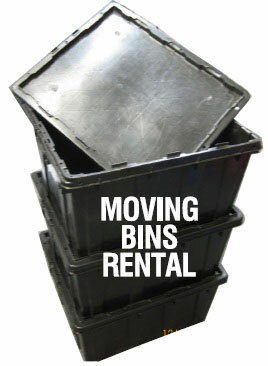 The use of our bins will save you money by making your relocation faster and more efficient.